When it comes to home security you can never be too safe. To this end, some people may move to a safer area; some may demand that the police patrol their neighborhood more often; others still may invest in a pricey home security system, with alarms and trained responders. But those that truly appreciate the need for security will know that their lives, and the lives of their family are important enough that nothing but the best will do. And the best just happens to be a computerized sentry, fully loaded with ammo and an artificial-intelligence that is excited to shoot people. Sure, the commercial version of these military turrets may not be cheap, but can you really put a price tag on your security? Well, Aperture Labs sure can, but you can’t. This video marks the third such video celebrating the revival of Aperture Labs. The fist video wants you to enjoy Aperture’s panel technology, while the second wants you to go robotic. 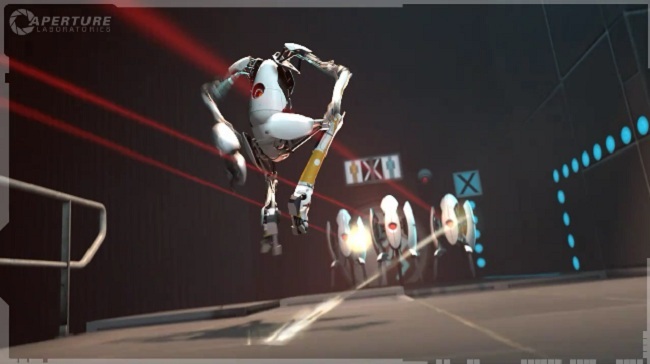 Portal 2 wants you to invest in Aperture Labs on Mac, PC, PS3 and Xbox 360 on April 19. LivingSocial files to raise over $500M; can it overtake Groupon?